Are concerns about security hampering your move to Industry 4.0? Are you anxious about what it might cost or unsure about how to get started? Wondering what is actually out there that can help you? 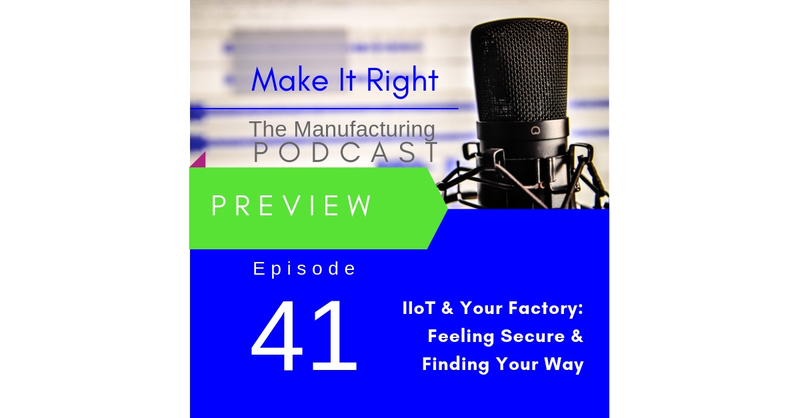 Coming this week on the Make It Right podcast Janet gets insight on these questions and more from Greg Orloff, Chief Innovation Officer of IIoT World, a digital publication focused on the connected industry. Full show coming Friday.